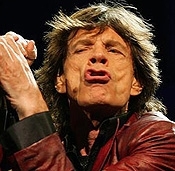 MARCH 3--While we don't like to rain on the scoops of others, that new BBC report about the alleged Hells Angels plot to kill Mick Jagger had a familiar ring to it. And that's because about eight years ago TSG obtained an FBI report describing the harebrained post-Altamont assassination attempt, details of which were provided to federal agents by John Joseph Miller, a former Hells Angels Motorcycle Club (HAMC) member who turned government informant. A lengthy 1985 FBI report detailing Miller's debriefing includes information about the alleged plan to clip the Rolling Stones singer at his waterfront Long Island estate. We included this section from the Miller FBI report in our first book--which was published in September 2001, so it is wholly understandable that it was overlooked at the time.